Compassionate Animal Rescue of Dutchess County has been helping to save animals for over two decades. We have developed relationships with outstanding companies who continue to work with us to offer assistance and necessities. Some of our sponsors include local veterinarians. We are proud to advertise their services on our page in gratitude for all they do to support our cause. 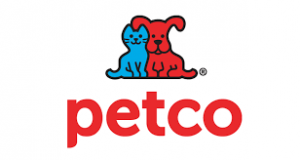 Many thanks to Petco and the Petco Foundation for their continued support. Compassionate Animal Rescue Efforts of Dutchess County (CARE of DC would like to send a heartfelt thank you to the Hartz Corporation for the tractor trailer load of food, toys, treats and flea/tick medications that they donated to us. We along with help of John Iannuzzi from The Shelter & Rescue Partnership were able to distribute the products to over 70 rescue groups in need. Thank you from the bottom of our hearts. You have helped countless animals with this donation. An extra special thank you to EZ Street Cleaning Inc. They helped us unload over 35 pallets of food, toys, treats, wee wee pads and flea/tick medications (which are being redistributed to local rescues in need). After spending hours unloading and reloading the supplies into smaller trucks we realized we still had 10 pallets and no room for them. EZ Street donated one of their storage units until the balance of the supplies can be picked up by others. We couldn’t have done it without their help. Every one here at CARE of DC says thank you and so do the 30+ rescues that benefited from the donations.